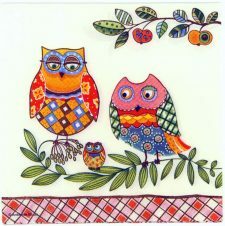 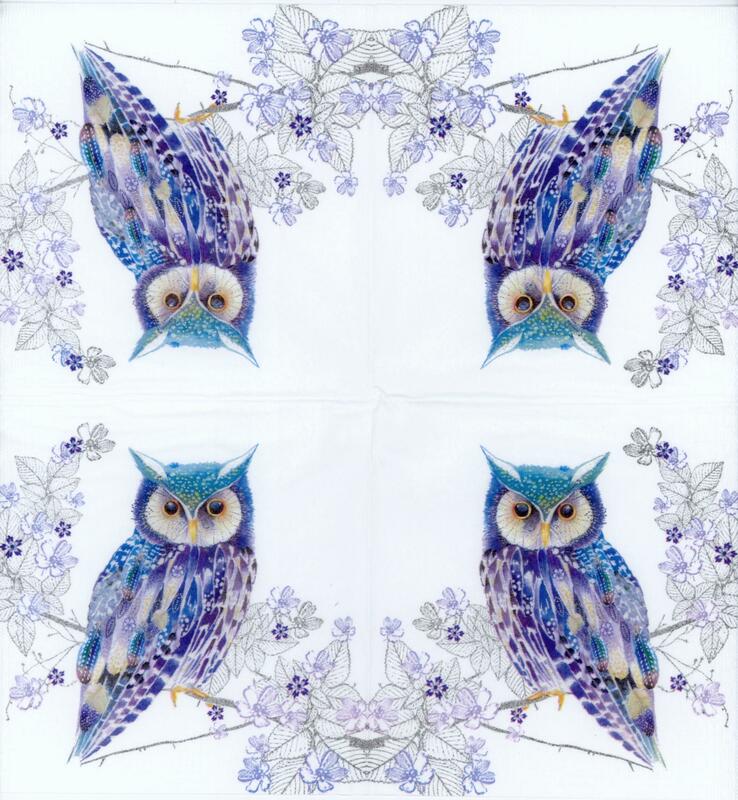 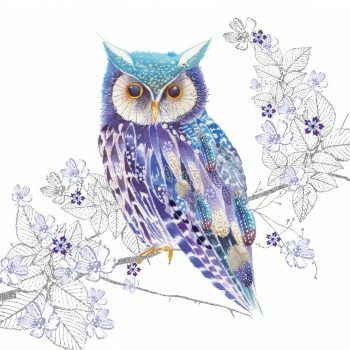 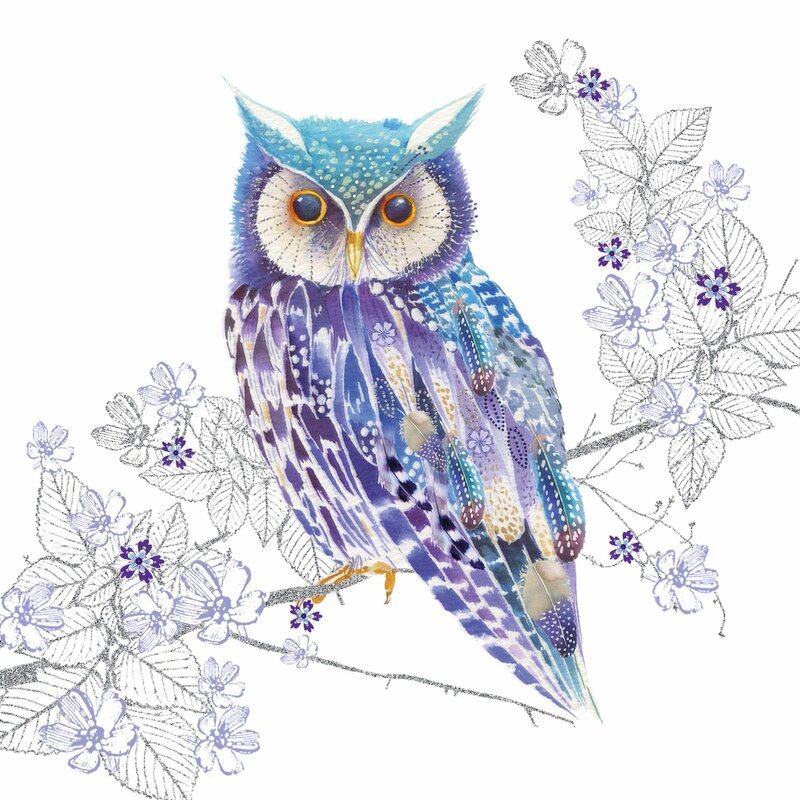 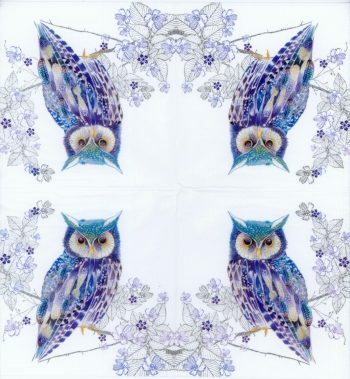 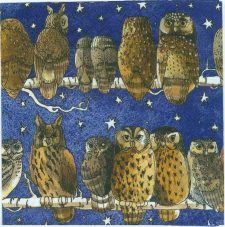 Decoupage paper napkins with a gorgeous owl in the beautiful purple printed in Germany on a 3-ply paper napkin. 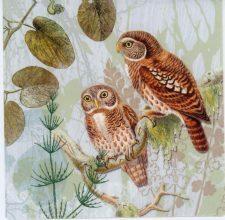 These napkins are lovely as party napkins, adding a touch of elegance to your table, be it a tea party, an event, or the dining table. 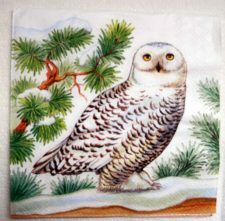 Each napkin measures 13″ x 13″ (33cm x 33cm) unfolded.